By now in life, you know that you should have a flu shot every year to prepare for flu season. You may have even gotten the flu once or twice…an experience you never want to repeat. But do you really know about the flu? The flu season is headed toward its peak — with cases widespread in states across the United States, including Alabama. So, is there any better time than now to learn what you can about this common condition? The flu is very common. Between 5 and 20 percent of the U.S. population get the flu each year. Last year’s flu season was particularly widespread, leading to more than 900,000 Americans requiring hospitalization and more than 80,000 flu deaths. That included 185 pediatric deaths, primarily among children who hadn’t been vaccinated against the flu. The elderly were also impacted greatly by last year’s flu season, with nearly 60 percent of all hospitalizations occurring in adults age 65 and older. The flu shot is still the best defense. The influenza vaccine is reformulated each year to protect against the strains of the flu projected to be the most common that flu season. Even in years when the vaccine isn’t formulated quite right, it still offers protection against the flu. Last year, the vaccine was considered 40 percent effective, but even those who got the flu after being vaccinated received some benefit. The flu is typically shorter in duration and less severe in those who have received the flu shot. During the flu season two years ago, the vaccine is estimated to have prevented more than 5 million illnesses. The flu can be a precursor to other conditions. In most cases, a person will recover from the flu within a few days or weeks. However, those who are a high risk, including older adults and young children, may have a more difficult time fighting off the condition. 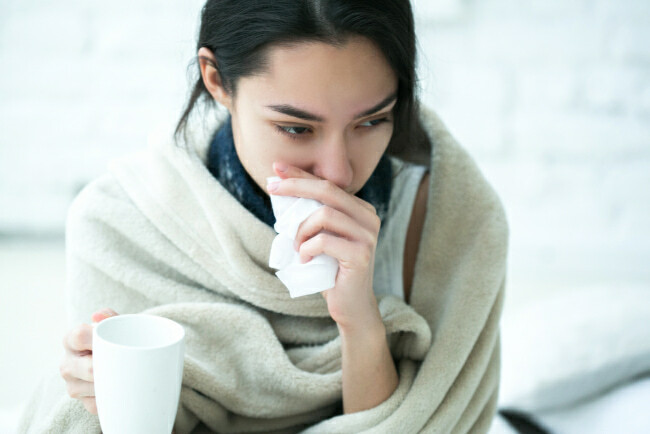 A person with the flu can develop complications, including pneumonia, bronchitis, sinus infections, ear infections, asthma flare-ups and even heart issues. History offers some strange remedies for the flu. Today, if you develop the flu, your doctor may prescribe an antiviral medication to shorten the duration of the flu and over-the-counter medications to help you find relief from the symptoms. But in the past, remedies were…let’s just say…a little interesting. During the Spanish flu outbreak, suggested remedies included eating and bathing in onions, taking numerous shots of whiskey, bloodletting, and opening up the chest to remove pus and blood. The flu’s been around a long time. If you look back through history, you’ll find tons of mentions of influenza. The first person to have described the symptoms of flu as we currently know it was Hippocrates, a Greek physician some 2,000+ years ago. (You might be familiar with the Hippocratic oath.) The worst—and best-known—flu pandemic occurred 101 years ago in 1918. While it was called the Spanish flu, it actually originated in the United States, and it ended up killing at least 50 million people worldwide. If you’ve ever had the aches and pains associated with the flu, you know you don’t want it again. To protect yourself and your family, the best defense is still the annual flu vaccine. This vaccine must be received annually since the flu shot is reformulated every year to protect against current strains. Beyond the flu vaccine, take steps to fend off the flu by staying away from others who are sick, washing your hands frequently, disinfecting commonly touched surfaces, and keeping your immune system strong with a balanced diet, regular exercise and quality sleep. Haven’t gotten your flu shot yet this year? It’s not too late! Talk with your doctor about being vaccinated. Dr. Greg May is dedicated to providing a comprehensive range of family medical services to the Lookout Mountain communities of Tennessee and North Georgia. His family practice includes primary care representing all internal medicine subspecialties (with monthly visits from Erlanger cardiology and urology specialists) and diagnosis and treatment of acute and chronic illnesses. Learn more about Erlanger Primary Care – Lookout Mountain or book an appointment by calling 423-778-9210.